Golf course grounds at Kitale Club, Kitale, Rift Valley, Kenya, January 2012. 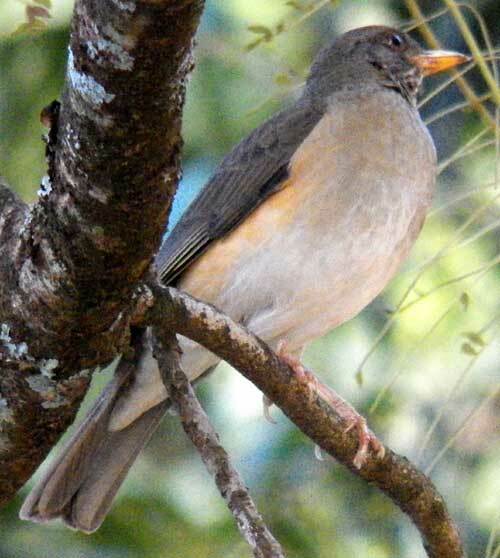 In Kenya the African Thrush is found in western Kenya and is considerably paler than the more common and widespread Olive Thrush. It uses its sturdy, yellowish beak to probe into the soil and turf after caterpillars, worms and spiders. They are wary and quick to hide when people approach. Fruit is also an important item in the diet. 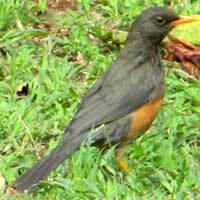 Follow the thumb-link above for the Olive Thrush which is similar and more widely encountered.